Love! Eye catching jewel like colours, luxury velvet. A perfect gift. 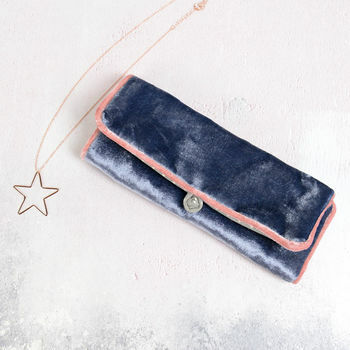 Gorgeous velvet jewellery roll. Iridescent faux silk inside, with two zipped pockets, one large pocket and ring storage. 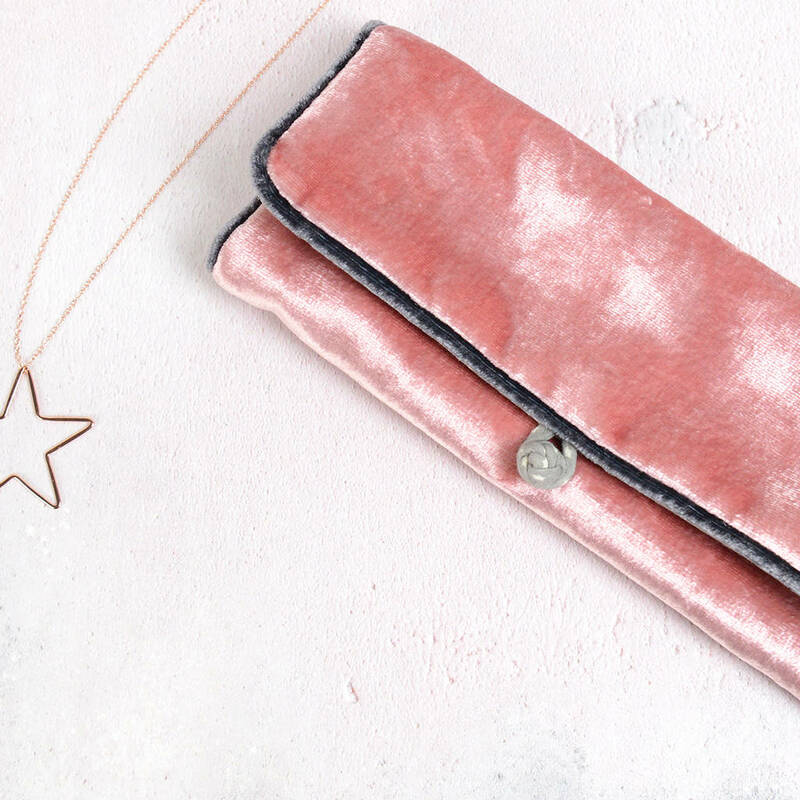 Unroll to expose your jewellery and roll to keep safe. Beaded tie to secure. Available in 2 luxurious colours, grey or pink with contrasting piping, a taffeta button to secure. Designed in the UK, made by a talented ladies cooperative in Vietnam.